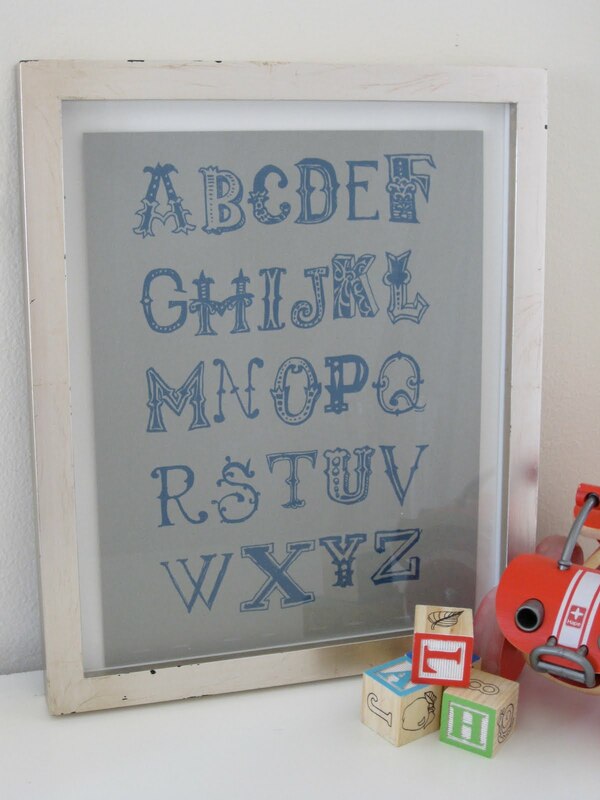 make this alphabet print for your child's room. i typed and printed this in only a couple minutes on word, using a fun font i downloaded from dafont.com. you can make your own, with your favorite font, or download and print this one by clicking the link below. i printed one alphabet on blush card stock and one on gray. put it in a frame, and voila! 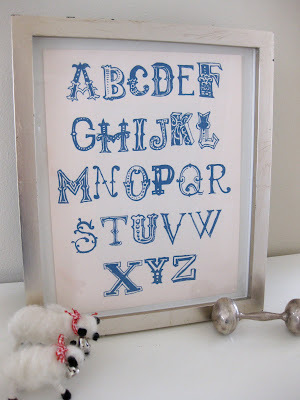 instant (and inexpensive) kids room art.